Our Alumni go on to make contributions in all areas of the wine and spirits industry. With their exceptional talent, our graduates help to shape the future of the drinks industry around the world. 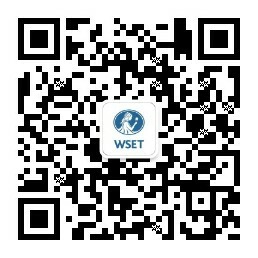 Here we highlight some of the outstanding individuals who have graduated with the WSET Diploma. Born in France, Gerard moved to England in the mid-1980s where he embarked on a successful career as a sommelier winning amongst others: Best International Sommelier for French Wines 1992, Best Sommelier of Europe 1996, Best Sommelier in The World 2010. In addition he was awarded: The Marques de Cacares Award in 1993, The Dom Perignon Cup in 1996, The International Wine Challenge Personality of the Year in 2010. The Harpers Wine and Spirits Magazine Personality of the Year in 2011, Imbibe Industry Legend in 2011, Decanter Man of the Year in 2013, Harpers Wine and Spirits Magazine Best Ambassador/Communicator for French Wines 2013 and 2014 and The Wine & Spirit Ambassador Catey in 2014. Jeannie Cho Lee is the first Asian Master of Wine and an award-winning author, television host, editor, wine critic, judge and educator. Jeannie is currently a professor at the Hong Kong Polytechnic University (PolyU) where she helped to launch the Master of Science (MSc) in International Wine Management program offered by the School of Hotel and Tourism Management (SHTM). She is also a Visiting Professor at the Chinese Culinary Institute and the International Culinary Institute. Jeannie co-hosts a weekly wine program In Vino Veritas, now in its second season on TVB Pearl, Hong Kong’s leading English-language TV broadcaster. She has been a Wine Consultant for Singapore Airlines since 2009 and is the former Publisher and CEO of Le Pan, a wine lifestyle publication she launched in 2015. Serena passed the Master of Wine examination in 1976, at her first attempt, and has been a member of the Education Committee, the Examination Board, and was Chairman of the Institute of Masters of Wine. A renowned taster, writer and lecturer, she is the Honorary Chairman of Sotheby’s Wine, who are celebrated for selling great collections of perfect provenance in their London, New York and Hong Kong auctions. Yang Lu is widely regarded as the most important and influential sommelier in Greater China, as well one of the most respected wine personalities of the industry. He is currently the Corporate/Group Wine Director for Shangri-La Hotels and Resorts, overseeing the wine program and sommelier team for the entire group. Yang is regarded as one of the finest wine educators in China, regularly teaching WSET and seminars for various wine regions. He is a columnist for DecanterChina.com, and contributes to several professional and lifestyle magazines. He also translated How to Taste by Jancis Robinson and co-translated World Atlas of Wine into Chinese. Kenichi (Ken) Ohashi is a leading wine and sake industry professional based in Tokyo, Japan. In 1992, he started his career working for the family sake retail business – Yamajin co. ltd. He is now President of this firm, that has diversified greatly over the last 20 years. In addition to his commercial and educational responsibilities with Yamajin, he runs his own consultancy firm – Red Bridge co ltd. His activities in this business include, but are not limited to – lecturing, buying, judging, writing, selling and strategising for various Japanese and International liquor businesses. The pursuit and exchange of knowledge is at the heart of everything Ken does in his chosen profession. An accomplished wine educator, wine consultant to hotels, wine writer, wine judge and a Wine TV broadcaster, Sonal has numerous wine-related pursuits. She is currently Wine Director – Wine & Beverages at ITC Hotels, India’s second largest chain of luxury hotels with close to 97 hotels across various cities in India. Her main focus is to elevate the Hotel Group’s wine cellar offerings through world-class wine selections and to curate iconic and exclusive wine events through collaborations with top wine houses. Sonal has been featured among the Top Women in Wine in India by the Indian Wine Academy, and has also been listed among the Top 50 Most Powerful Women in Indian Luxury by BlackBook in 2015. Michael Hill Smith is an international wine judge, producer, consultant and writer who completed the WSET Diploma in 1985. In 1988, he became the first Australian MW and won the Madame Bollinger Tasting Medal. In 2008, he was awarded an Order of Australia for his contribution to the Australian Wine Industry. He is Co-Managing Director of Adelaide Hills pioneers Shaw + Smith and Tolpuddle Vineyard in Tasmania and is a wine consultant for Singapore Airlines, alongside Oz Clark and Jeannie Cho Lee. He has featured in Decanter’s International Power List three times, is Vice Chair of Decanter Asia Wine Awards and Co-Chair of Decanter World Wine Awards. Angus has over 25 years' experience in the wine industry across a number of areas in Sales, Marketing and Business Development. For the last 15 years, he has worked for Pernod Ricard Winemakers and currently is the Global Brand Heritage Director, responsible for both the Brand Sites & Visitations as well a team of Wine Ambassadors based throughout the world. Angus is currently a Vice President of the NSW Wine Industry Association, in charge of Government relations and licensing and is also the Chairman of the Wine Communicators of Australia, an organisation of over 500 members dedicated to providing information and networks for professionals working in wine.